Publisher: W. & R. Chambers, Ltd.
Maurice Walsh (21 April 1879—18 February 1964) is one of Ireland’s most beloved novelists and remains, if not Ireland’s most accomplished storyteller, the benchmark against which all subsequent generations of Irish storytelling is measured. To many, including Ernest Hemingway, he was the greatest storyteller of his time. 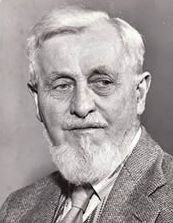 He is probably best known for the short story The Quiet Man–a contained story from the separately connected short stories that make up the novel Green Rushes. Fascinatingly, the characters and story arc that runs through Green Rushes is a far darker tale of loyalty and betrayal centered around the Black and Tan war between the IRA and the British imperial forces just before the end of the Irish War of Independence in 1921. It is chillingly redolent of the later ‘Troubles’, and one of many reasons why Walsh’s work remains relevant today. Maurice Walsh was born on 21 April 1879 in Ballydonoghue, near Listowel, County Kerry, Ireland. He was the third child of ten and the first son born to John Walsh, a local farmer, and his wife Elizabeth Buckley who lived in a three-roomed thatched farmhouse. When the Irish Free State was formed in 1922, Maurice transferred to its excise service and moved to Dublin. Fighting was still going on there at the time and he left his family in Scotland until it was safe for them to join him in 1923. The story The Key Above the Door was written during those months of separation although it was not published until some years later, appearing first in Chambers Journal as a serial between December 1925 and May 1926 and then in book form. Sales of Maurice Walsh’s books grew steadily, especially in the wake of an unsolicited and generous letter from J. M. Barrie (of Peter Pan fame), praising The Key Above the Door. 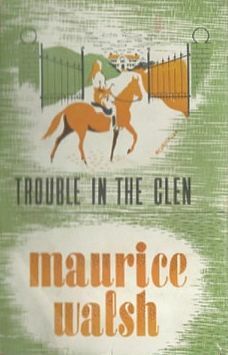 Maurice retired from government service in 1933 but his success as a writer continued. Maurice himself died on February 18, 1964 in Blackrock (a suburb of Dublin). Epub 20170471.epub If you cannot open a .mobi file on your mobile device, please use .epub with an appropriate eReader. Mobi/Kindle 20170471.mobi Not all Kindles or Kindle apps open all .mobi files.